Synopsis: You seriously don't know this story? Come on now! This review was originally published at Central Track. So it's rather refreshing, then, that CINDERELLA bucks this trend. Much like its protagonist, it's a movie full of hope and humor -- one that kids and adults can appreciate alike. This is not to say, however, that this incarnation falls right in line with the 65-year-old animated film of the same name. It doesn't. Actually, this new version is better written, especially when it comes to character development and motivation. Of course, it's still fantastical: A lot of scenes -- from Cinderella's mice friends to her stepsisters' garish dresses -- look like they were taken right out of the cartoon. But whereas Cinderella, her stepmother and her prince were all blank slates who served the plot for no real reason before, they're all three more fleshed out and believable this time around. 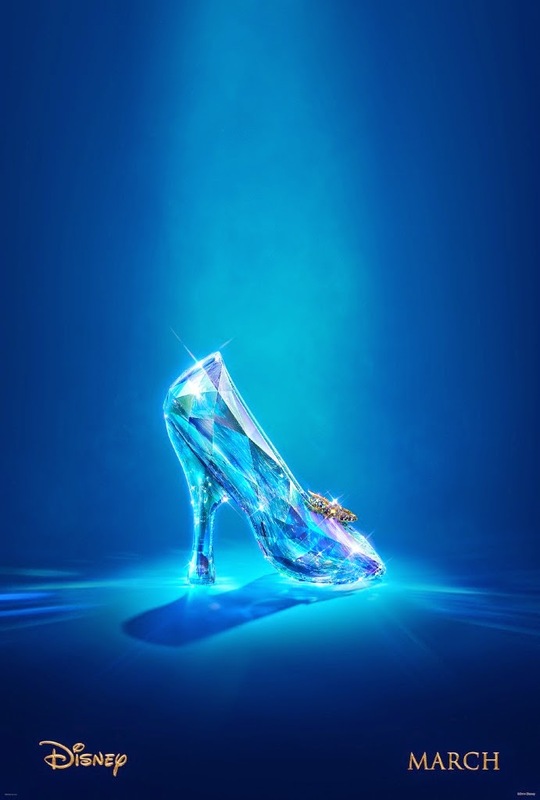 Cinderella, the character, is ultimately defined by the mantra given to her by her dying birth mother: "Have courage and be kind," our lead is told in this early scene. It's a strong, positive message -- and it's the attitude she develops in kind that, despite her beauty, ends up truly captivating the prince. There's in fact plenty for James to play with in this take: Richard Madden -- playing a named prince (Kit) this time through -- is basically channeling his GAME OF THRONES character Robb Stark here with his portrayal of a prince whose responsibilities to his father and the kingdom very much clash with those of his heart, but that doesn't mean he's phoning it in. He's solid in the role, and even better when collaborating with James. Cate Blanchett's stepmother too is improved, and finally given a satisfying source for her cruelty was towards Cinderella. There are even times early on in the film when you could sympathize with her character's plight, and Blanchett just brings a real pain to the role. Overall, though, it's an upbeat film -- almost too much so, in some regards. One of the integral parts of Cinderella's story is all of the suffering and degradation that she must endure at the hands of her stepmother and stepsisters. Here, however, it all feels fairly glossed-over. Most of this tragic part of the story is told via montage, with only a few extended scenes here and there. The same can be said of Prince Kit's slightly more political problems, each of which is resolved in minutes or with relative ease. Combined, these plot leaps are a little problematic; the conflict in this film could certainly be greater. Another area of restraint can be found through the use of both the fairy godmother character and Cinderella's mice companions. Here, though, it's effective. Helena Bonham Carter's fairy godmother cracks a lot of jokes and is a hilarious presence in the few minutes that she appears on the screen, and the mice add a levity to the film's darker scenes even when relegated to background shenanigans. They don't dominate the story as they do in other tellings. In this version, they just support it -- and quite well, at that.